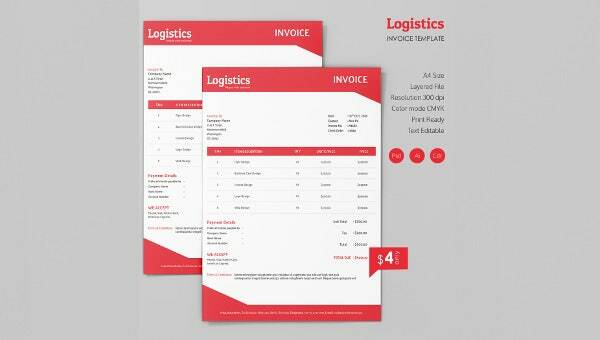 Now, no more struggling for creating a well-organized invoice for various customers who have used your logistic firm’s services as the ready to print Invoice Template is available. Designed specially to meet the need of logistic business, it contains a table that showcases the description of the services used along with the amount. In addition, it provides a section for payment and transaction detail, which leads to transparency between the company and the customer. To encourage your customer to be your regular customers provide them accurate invoice using a presentable layout that will definitely make them trust your transportation services.